Elizabeth Enslin grew up in Seattle and went on to earn her PhD in cultural anthropology from Stanford University in 1990. While a graduate student, she married into a Brahman family in the plains of Nepal. Inspired by local women, especially her mother-in-law, she researched women s organizing, poetics, politics, and agroecology. Her academic essay, "Beyond Writing: Feminist Practice and the Limits of Ethnography," still inspires conversations about feminism and the ethics of research and activism. Enslin returned to the Pacific Northwest in 1995 and earned her living as a high school and college teacher, a grant writer, and an independent consultant. She has published creative nonfiction and poetry in The Gettysburg Review, Crab Orchard Review, The High Desert Journal, The Raven Chronicles, Opium Magazine, and In Posse Review and received an Individual Artist Fellowship Award from the Oregon Arts Commission and an honorable mention for the Pushcart Prize. She currently lives in a strawbale house in the canyon country of northeastern Oregon, where she raises garlic, pigs, and yaks. 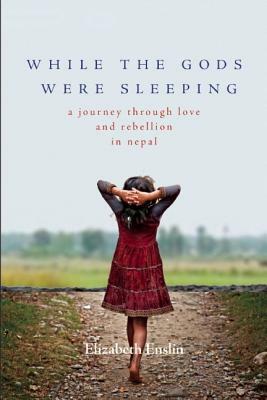 While the Gods Were Sleeping is her first book. Learn more at elizabethenslin.com."